Abstract: One of the last industries to embrace and implement AI and data science tools is the biotechnology/pharmaceutical industry. While research fields have used machine learning to solve many problems in the past, the difficulties of utilizing these techniques in marketing, segmentation, commercial, and clinical settings has only recently begun to be realized. At the root of these problems are two themes: 1.) constant scrutiny and oversight by government and 2.) inherent expectation and trust from patients that data will not be used for purposes other than treating their disease. These expectations and hurdles have created a data nightmare within the industry from auditable data silos that have been put in place to blinded patient records creating data management issues. Compared to other tech industries where user data is easily applied to machine learning, the pharma industry has taken only baby steps in this realm while at the same time having to find new and novel ways to acquire data. These unique challenges and hurdles that are applicable only to the biotech industry have fostered two realms of thinking; companies who foster unique data science teams to circumvent these hurdles and those companies who utilize third party data science tools in hopes of finding a magic button. Arguably the most successful companies will be those who leverage both methods combined. We'll dive into the challenges and opportunities that are unique to the biotech industry and describe possible future states of the industry that include new government regulations and increased visibility to a company's patient base. 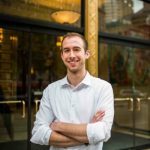 Bio: Adam is currently a data scientist at Biogen, a biotech company focusing on neurological, autoimmune, and diseases. His roles have focused around the commercial sector and the applicability of machine learning to non-traditional areas of interest with the pharm industry. Additionally, he provides R training workshops to other industries such as finance and insurance and holds a PhD in Genetics from Boston College.